Who Are The Easiest People To Shop For? Why Tea People are! Seriously it does not take a lot to make a tea lover happy. A new cup, a different tea, a special strainer or cozy. We are very simple people…. So I’ve scoured magazines and on line for what tea centered gifts I’ll be doing this year. And here they are! This year I am doing the Mason Jar Tea Kit. I’ve been collecting and even Grandpa went to an auction and bought me about 50 Mason jars! Just think to yourself…what would I like to have as I sit down on a cold winter’s afternoon? Tea, a nice cup, a sweet and you have an experience! If you have some homemade jam, or cookies or bread, just pop that in the basket too. It’s very easy, inexpensive and from the heart. You can also make your own holiday blends and pop them into a small container, as you can see, you can make a tree, and those lovely Harney and Sons tins are perfect for growing herbs or making into candles! I love this little tea cozy and the little travel pouch for teas. Our friend over at pinkiebag.com could have really used that little packet when travelling around the U.S. this year! We all know that old adage, It’s the thought that counts, right? Well all of these are very thoughtful and I would be thrilled to receive any one of them. I hope you got some ideas for the tea lover in your life, or maybe to introduce someone to tea time! Holidays just bring out the kid in us all! Well at least it wasn’t stuck in his mouth this time! When asked why not a plate….I didn’t want to wash one. Good answer. Enjoying the Celestial Seasonings Gingerbread Tea today. I mix it with half Almond Milk and a dash of nutmeg grated on top. Now if I only had some gingersnaps to dunk in it! I’ve been immersed in some pretty heavy reading this week along with dealing with Oklahoma’s schizoid weather. Shorts on Thanksgiving followed by hoodies and now back to shorts. So I’m taking to my bed today….with a sore throat. One of my all time favorite treats is this Sticky Toffee Pudding. I have absolutely no control with this scrumptious little devil! I’m pretty sure this recipe came from Food and Wine Magazine. If you haven’t tried it, well why the heck not? It’s freaking amazing, and if you don’t want to make it I can highly recommend the one from Whole Foods. Preheat the oven to 350°. Butter an 8-by-12-inch glass baking dish. In a medium heatproof bowl, cover the dates and cinnamon sticks with the boiling water and let stand for 30 minutes. Drain the dates in a colander and shake off any excess water; discard the cinnamon. In a large bowl, using an electric mixer, beat the softened butter with the brown sugar and vanilla seeds until the mixture is fluffy. Beat in the eggs, one at a time, scraping down the side of the bowl after each addition. In a medium bowl, whisk the flour with the baking soda. Add the dry ingredients to the brown sugar mixture and beat at low speed until blended, then stir in the chopped dates. Scrape the batter into the prepared baking dish and bake for 45 minutes, or until the date cake is springy and a toothpick inserted in the center comes out clean. In a medium saucepan, bring the heavy cream to a boil with the brown sugar. Add the butter and stir over moderate heat until melted; keep warm. Using a fork, poke holes all over the top of the warm date cake. Drizzle 2 cups of the hot toffee sauce over the cake. Return the cake to the oven and bake for 5 minutes longer, until the toffee sauce is bubbling around the edges but not fully absorbed. Let the cake cool until most of the sauce has been absorbed, about 1 hour, poking additional holes from time to time to help it absorb more sauce. Cut the cake into squares and serve with whipped cream and the remaining toffee sauce on the side. The cake can be prepared through Step 4 and then kept covered overnight at room temperature. Continuing on with our Norwegian Holiday Traditions in Baking. This is a delicate Norwegian cookie, almost like a waffle cone. You need a krumkake iron and the little cone that you wrap them around. They aren’t as hard as the may look to make. They are very delicate and you can eat them plain or fill them with whipped cream and chocolate shavings. These are called Rosettes. They sell all kinds of attachments for different shapes. My Father gave me 2 huge sets before he died. You make the batter. Heat the oil. Let your irons get hot and then dip them in the batter and then dip them in the hot oil and they float off the iron when done. Dust with powdered sugar and store stacked between wax paper sheets. They are very delicate and delicious! These lovelies are called Sandbakkles or Sand Tarts. They are pretty time consuming so have some friends over. You can fill them with whatever you want but ours never make it to the filling stage! And last but not least The Christmas Bread or JuleKage. So these are the most important of our holiday foods. I hope you give them a try and share some of your own! 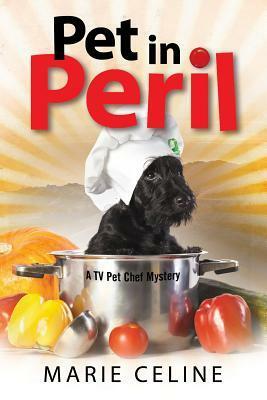 Gourmet Pet Chef, Kitty Karlyle, is beginning to have some success with her gourmet pet food business. She even has her own cooking show The Pampered Pet, and with her roommate and best friend, Fran, and her own dog, Fred and kitty, Barney her life seems to be heading in the right direction. It is Meet and Greet Time! Leave a link to your page or post in the comments. Reblog this post and find some new people to share ideas with! Uff Da! It’s Time To Make The Lefse Again! So what the heck is Lefse? Well if you are Norwegian, you already know. I am sure that half of the folks in Bottineau, North Dakota are boiling and ricing pounds of potatoes to make this delectable treat! Which is covered in butter and sprinkled with sugar and rolled up and shoved in eager little mouths! They brought with them the customs and food of their homeland and it was the best food I ever ate! Being from the deep south, our holidays had to incorporate a few different cultures. But today it’s all about the Vestre family and what we make. This my friends, is Lefse! It is the best thing ever! I have only made it once. It’s hard. Usually someone sends me some. I can never think of Lefse without thinking about Lutefisk. Lutefisk is dried whitefish (normally cod, but ling and burbot is also used) treated with lye. It is nasty and stinks and I think they must leave it out in the sun for a few days to ripen…Every year the First Lutheran Church in Bottineau has a Lefse and Lutefisk Dinner. I went once. I will not go back. Next time I will share some of the sweets we love and how you can make them too! Salted Caramel Tea? Whaaat? I almost didn’t notice this and as soon as I did it was safely home with it’s friends. When I opened the packet the smell of caramel was strong. On the bag it suggested steeping for 4 minutes so I started there. While the caramel aroma was still strong, it tasted a bit weak. So I let it steep just a little longer and got the result I was looking for. A nice hint of caramel. I will be very honest here, I probably wouldn’t buy this one again. And I added a squirt of the same caramel I use for macchiatos . Now that was good! Yeah, the chocolate pecan cookie wasn’t bad either! Digging around on the Web last night looking for different overnight oats recipes and look what I found on Celestial Seasoning’s site! Another great way to use our Holiday Teas! Simple & easy overnight oats recipe to bring fall flavors to the breakfast table. And what goes better with that than a cup of Caramel Apple Dream Tea?